Tel Aviv: Tel Aviv is a city of extremes. It’s either unbearably hot or freaking cold here, people are either zealous lefties or stubbornly right. But when it comes to prices, it gets to the boiling point. 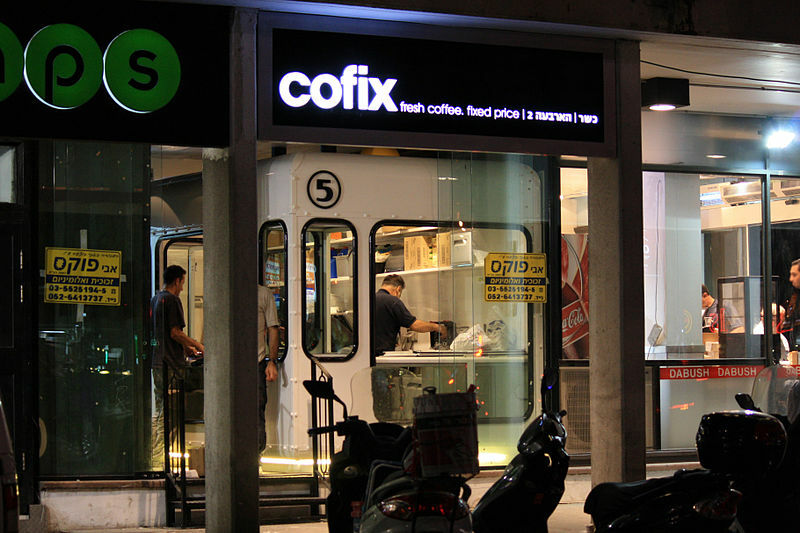 No need to mention how ridiculously overpriced local supermarkets and bars are, but right next to them you can always find Cofix and get anything you need (or almost anything – I personally still can’t find gluten-free vegan chewing bones for my dog) for the low low price of 5 shekels!